• Nearly 50 million people in the United States suffer from allergies. • The incidence of in the United States doubled between 1980 and 2000, with nearly 20 million Americans suffering from asthma. • More than 30 million Europeans suffer from asthma. • Australia has one of the highest prevalences of allergic disorders in the developed world. 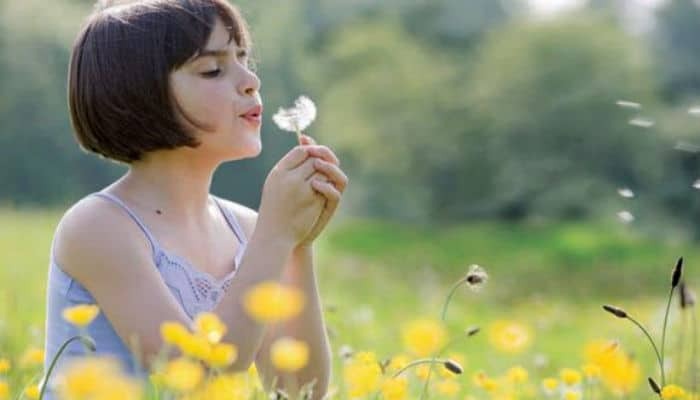 • Asthma, hay fever, chronic sinusitis and “other allergy” comprise four of the top 10 most common long-term self-reported illnesses in youth aged 12-24 years in Australia, and the prevalence is increasing. • The Australasian Society of Clinical Immunology and Allergy (ASCIA) says the most up-to-date research shows a massive increase in the prevalence of allergic disorders in children. • A World Allergy Organization global study, “State of the World Allergy Report,” shows allergies and asthma have doubled in many countries in Asia, compared to just a few decades ago. • You’re at increased risk of allergies if you have family members with asthma or allergies such as hay fever, hives or eczema. • Having one type of allergic condition makes you more likely to be allergic to something else. Allergies are a result of an immune system gone haywire: The immune system mistakes a typically harmless substance for a harmful invader. Your immune system then makes antibodies against the substance, which launches the release of histamines and other chemicals that cause allergic reactions such as sneezing, itchy and watering eyes, runny nose and other miserable symptoms. Allergies also can cause symptoms that involve your skin or digestive system. Some of the common allergy culprits are pet dander, dyes, detergents, mold and pollen. Some foods, insect stings and medications can trigger allergies, too. While asthma and allergies are separate conditions, they’re related. People who have respiratory allergies are more likely to have asthma, and having asthma increases your risk for developing an allergy. Asthma is a chronic respiratory disease that causes airway obstruction. Allergies, smoke and air pollution can trigger asthma and cause the airways to become inflamed. As the airway swells, less air flows to the lungs while mucus production increases. This causes symptoms like wheezing, coughing, chest tightness, and trouble breathing. Standard allergy and asthma treatments often include steroids, antihistamines, nasal sprays, prescription medications or allergy shots. But building your defenses through good nutrition is another option. Findings published in the journal Thorax show low dietary intake of vitamins A and C may increase the risk of developing asthma. At the same time, a new study from Tanta University in Egypt shows a combination of omega-3 essential fatty acids, vitamin C and zinc may improve symptoms of asthma in children. The researchers note that omega-3s and zinc each have anti-inflammatory effects, while Vitamin C, a potent antioxidant, may reduce attacks in the lungs from bacteria, viruses or other sources. Clearly, supplying your body with optimum nutrition is a key step in keeping your immune system functioning properly to fight the development or symptoms of allergies and asthma. The anti-inflammatory properties of omega-3s have been shown to benefit the immune system and have a positive effect on allergies as well as asthma. Omega-3s can be found in GlucAffect®, ReversAge®, and Reliv Now® for Kids. Vitamins A, C, E and zinc, enzymes, garlic and cayenne also have been shown to help strengthen the immune system to reduce allergy symptoms. Reliv Now®, Reliv Classic® and FibRestore® are good sources of all of these nutrients, plus other beneficial herbs and enzymes. These nutritional products also contain bromelain, an enzyme with anti-inflammatory properties shown to help manage asthma and other allergy responses. Probiotics offer another option shown to be effective in decreasing allergy development. Probiotics, also called “friendly bacteria,” are live microorganisms similar to beneficial microorganisms found in the human gut. These include Lactobacillus acidophilus and Bifidobacterium. Probiotics stimulate the immune system to help your body protect itself. Good sources of probiotics include SoySentials®, which contains Lactobacillus acidophilus, and ReversAge, which includes both Bifidobacterium and Lactobacillus acidophilus. High fiber diets also encourage probiotic growth in the digestive tract. FibRestore is loaded with 10 grams of soluble and insoluble fiber per serving, providing a third of the recommended daily amount. While the change in seasons is a welcome event for most people, millions of allergy sufferers across the globe view the arrival of spring or autumn with trepidation. Runny noses, itchy eyes, congestion and sneezing make it difficult to enjoy the fresh air and sunshine outside. The incidence of allergies and asthma is on the rise — a clear sign that our immune systems are under siege. While allergy medications do an excellent job of treating the symptoms, they don’t get at the root of the problem. That’s where a quality nutritional regimen can really make a difference. Numerous clinical studies around the globe have identified a variety of vitamins, minerals and other nutrients that can help reduce inflammation associated with allergy and asthma, and support a healthy immune system, which is less likely to “overreact” to environmental allergens. So this season, when you reach for your allergy medication, consider washing it down with a Reliv shake. Then get out there and enjoy the day!